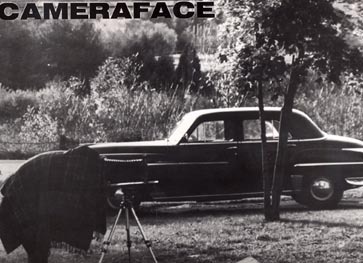 The band Cameraface was formed in 1988 by Ron Sutfin and Kerry Miller after the breakup of Valley of Kings. Tom Wolf, former Valley of Kings soundman became the bass player with Rich Hulett of the Dum Dum Boys on guitar. David "Vid" Walker took over on guitar for Rich and Thor Mosher took over on bass for Tom Wolf. The band had some memorable live gigs opening for Naked Raygun at the Anthax in Norwalk, CT, The DelFuegos at Toads and also The Smithereens at Toads. The album "After the Scream" was released in 1990 was a top add in CMJ and charted as high as 18 nationally. The photo to the left is from the Cameraface music video "The Bite of Love" that aired on MTV's Basement Tapes show in December of 1988. 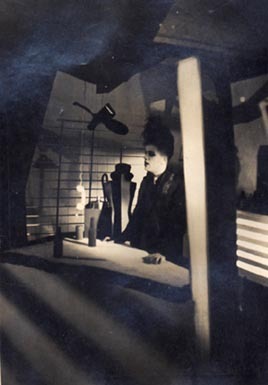 Mark Mulcahey from the band Miracle Legion is shown here in a scene from the video. It was shot by the band and some friends from NYU Film School, with NYU's equipment on 16mm. The video was edited by Ron and aired a few more times on MTV's 120 Minutes show. Cameraface "The Bite of Love" MP3 Format Free Download!!! Check out this tune from the MTV Video. It was recorded at Platinum Island Recording Studio, 676 Broadway NYC, with Ron and Oz Fritz engineering and producing. Free Download!! !